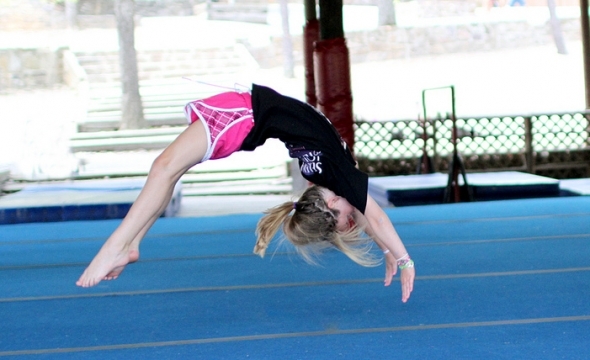 Learn some basic tumbling skills that can be used for cheerleading or just for fun. Somersaults, tucks, round-offs, and handsprings are all part of this class, which are taught based on skill progressions. Come join me this summer at Camp War Eagle, check out the Tumbling.